Micheal Ibrahim Mahama is the half-brother of Ghana’s President, John Dramani Mahama who has always been in the news for allegedly receiving favors from the ruling NDC. 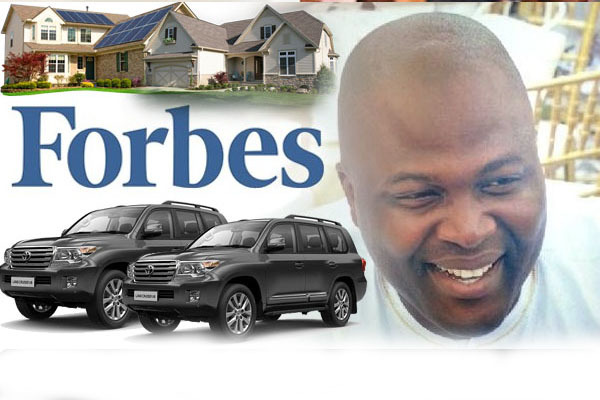 He is a very successful businessman with businesses spanning from mining, construction and poultry to real estate. He is the first Ghanaian,according to Al-Hajj, to privately own a 15 seater Bombardier Jet and is rumoured to own a Bugatti with customized plate PEPENI 1 ( a term southerners use to call northerners). He is on record to have said he employs over 5,000 people and has plans of expanding his empire to include cement manufacturing. NsromaMedia.Com’s check revealed that his cement plant production currently undergoing in Tema is almost done. He might be the next DANGOTE, just watch out. Engineers and Planners Company Ltd, a wholly Ghanaian owned company with close to 20years experience and specialized in the management and hiring of heavy duty plants, equipment and machinery, haulage, oil and gas, land reclamation and restoration, dam construction and mining is now operating in four countries: Ghana, Liberia, Sierra Leon and Congo Brazzaville and hope to expand further to other countries including the Gulf region. Ibrahim also has the mining concessions and contracts to mine on behalf of multinational mining firms in West Africa. Step on any rich land in the Ahafo side and the next thing you’d hear is that Ibrahim has the concession to the land. Recently, the company gave out its machineries to Ghana to dredge the Odawna after the June 3 disaster. Of course the brouhaha forced Ibrahim to come out to say he did not take a penny from Ghana. Ibrahim also owns one of the biggest poultry farm in Ghana. The Asutsuare Poultry Farm produces over 150,000 eggs per day and capable of producing 10,000 live chicks in a day. MBG Ltd. is located in Tema, Ghana. Company is working in Car parts and Accessories, Vehicle services business activities. Ibrahim does not own ArcelorMittal but in Sierra Leon and Liberia, Mr. Ibrahim Mahama and his company work in partnership with Mr. Lakshmi Niwas Mittal, an Indian steel magnate, Chairman and Chief Executive Officer of ArcelorMittal, the world’s largest steelmaking company. One of the richest people in the world and presently the 6th richest, Lakshmi Niwas Mittal owns 41 percent of Arcelor Mittal and holds a 34- percent stake in the English side, Queens Park Rangers F.C. football. Engineers and Planners have also been contracted by Messrs Arcelor Mittal to provide mining services at their iron ore mining site at Yekepa in Northern Liberia. This project includes civil engineering works for installation of an iron ore processing plant and construction of a tailings Dam. One of the richest people in the world and presently the 6th richest, Lakshmi Niwas Mittal owns 41 percent of Arcelor Mittal and holds a 34- percent stake in the English side, Queens Park Rangers F.C. football.